Jump and smile rides are quite fun, and chances are you’ve seen one and most likely have ridden one at some point in your life. But, do you recognize them by name? 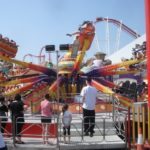 They are called many different things, and you often don’t hear the term “jump and smile ride” outside of the fair and amusement park industry. The public knows them as the “Techno Jump,” “Spider,” “Octopus” and various other names. When I was a child, we always called it the Octopus. 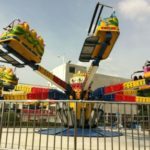 However, there are variations of these rides, hence the different names, and they have also evolved throughout the years and advanced with technology. 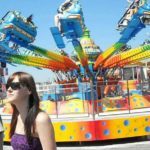 When I used to go to the fair, it was a ride that I could get on and have a blast but not have to worry like I would on the bigger rides. It’s classified as an intermediate ride, and it was one of my uncle’s favorite rides. 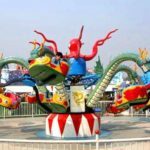 They often have them at amusement parks as well for kids to be entertained. Of course, they fit adults as well, and I still enjoy riding them from time to time. This ride is also known for it’s freeze midway through the ride, where all the sudden people are sent backwards, which is always a rush. Have you ridden one or more of these types of rides before? 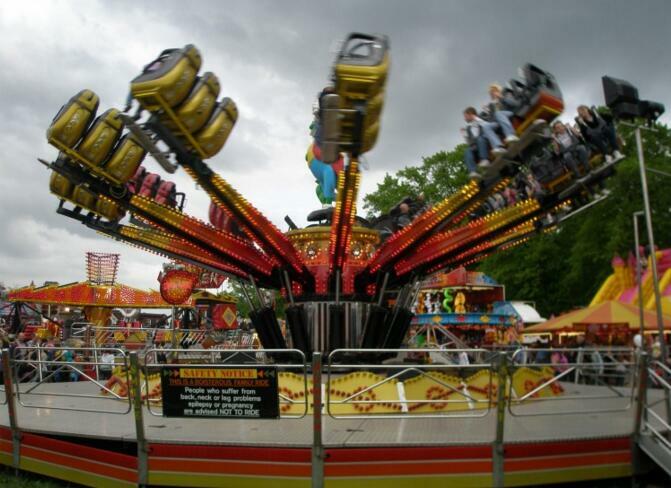 Sometimes when you go to fairs, you are introduced to rides like these that are still from decades ago. It’s always fun to get a blast from the past. 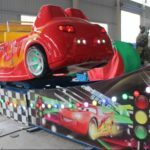 There are jump and smile rides that have cars, and they do cater to different age ranges. My favorite was the Octopus, but they have them available for even smaller kids who are looking for a fun ride. It really depends on how much movement and height is incorporated into the ride. Furthermore, they are always lit up in grand fashion, making the rides a very appealing experience. 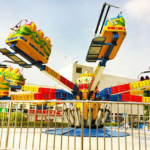 It’s a win when you’ve found a ride kids are going to have fun on and parents can also enjoy the ride in relaxation. It’s not one that is going to make you want to puke or make you scared of heights. Just like with every type of ride, there are the noteworthy jump and smile rides in certain locations, too. 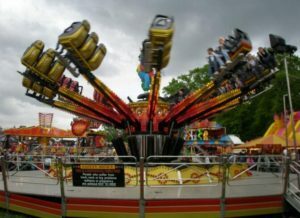 For example, there is one of these rides that makes its way all over the United Kingdom, known as the largest one of these types of rides. 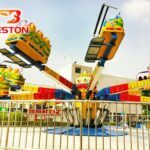 There are also many of these types of rides always available for sale online. You might not be putting one in your backyard, what a shame, but they make great investments for city fairs and different setups. Jump and smile rides have an appropriate categorical name, as they give you enough excitement by jumping in the air to make you smile without scaring you to death. Now isn’t that the type of ride you want to enjoy. Baby rides are for babies, and the scary rides are for certain times, but everyone can always enjoy jump and smile rides.